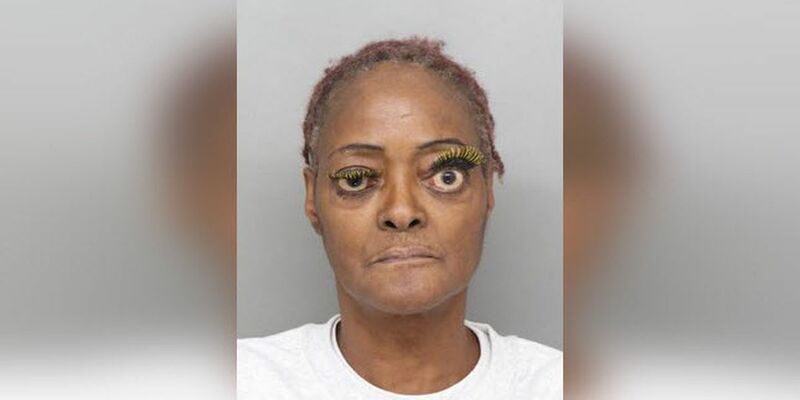 CINCINNATI, OH (FOX19) - A 61-year-old woman is accused of pouring hot grease on another person during a dispute. Charlene Thompson was embroiled in an argument when she dumped the grease on the victim Sunday at a residence on Hawaiian Terrace in Mt. Airy, court records show. The victim suffered severe burns to their back and arm, court records show. Cincinnati police officers said the injuries were visible when they arrived on scene. Thompson was arrested on a charge of felonious assault and booked into the Hamilton County jail. At the time of her arrest, Thompson was wanted on two outstanding warrants for criminal damaging or endangering, court records show. In court on Wednesday, the prosecutor said her bond amount should be significant. “I’m requesting a high bond as the court is well aware, burns are some of the most devastating, painful, debilitating, long-term injures that someone can suffer," Assistant Hamilton County Prosecutor David Wood said. The judge ordered Thompson to stay away from the victim and have no contact with her until further advised by the court. Her bond was set at $15,000 and her case will go before a grand jury on Dec. 14. She is accused twice between November 2016 and March 2017 of throwing rocks at a male neighbor’s windows, breaking them in the most recent offense, police wrote in criminal complaints. Thompson also was charged with assault and criminal damaging or endangerment and criminal trespass in 2008, court records show. Cincinnati police wrote in a criminal complaint she punched a victim in the face, “causing physical harm" on March 11, 2008. The charge was dismissed on Aug. 6, 2008., according to court records that do not indicate why. A 2008 charge of disorderly conduct while intoxicated also was dismissed shortly after it was filed. Cincinnati police accused her of kicking an officer and spitting several times in the back of a police car and on an officer on July 21, 2008, criminal complaint shows. And she was charged with domestic violence for allegedly striking her daughter in the mouth and back of the head, injuring her daughter’s hand while the daughter was protecting herself, on Christmas Eve Dec. 24 2006, police wrote in an affidavit. That charge also was later dismissed, on Feb. 21, 2007, court records show. Thompson was convicted of criminal trespass in August 2007 following a June 2007 arrest on accusations she entered an assisted living facility without permission and hit a resident, records state. She also was charged with assault at that time, but the charge was dropped when she was convicted in a plea on Aug. 13, 2007, according to court records. The Senate Committee on Revenue and Fiscal Affairs approved a bill Monday, April 22 that would allow Louisiana voters to decide if diapers and feminine hygiene products should be exempt from state sales tax collections.